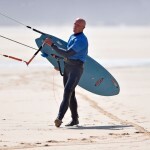 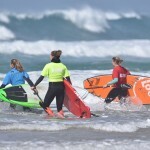 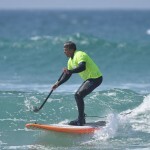 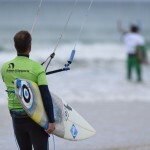 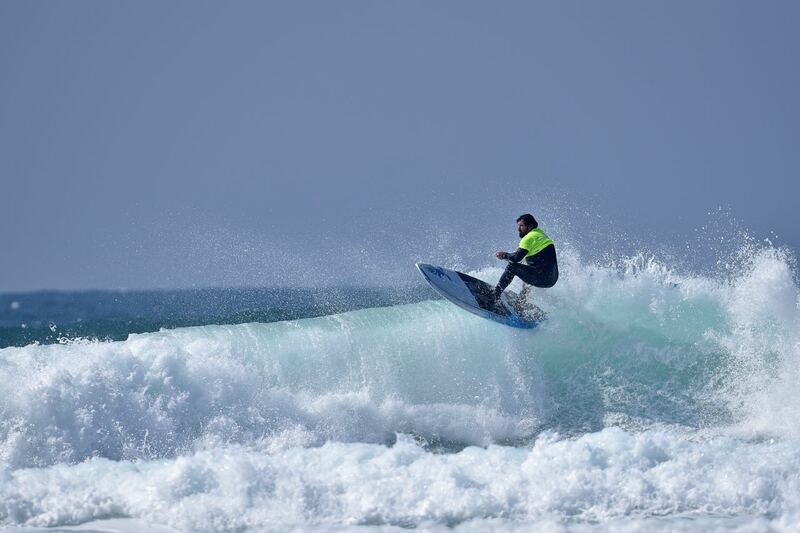 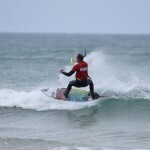 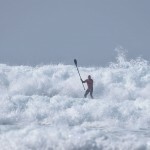 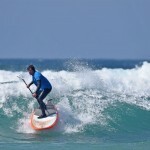 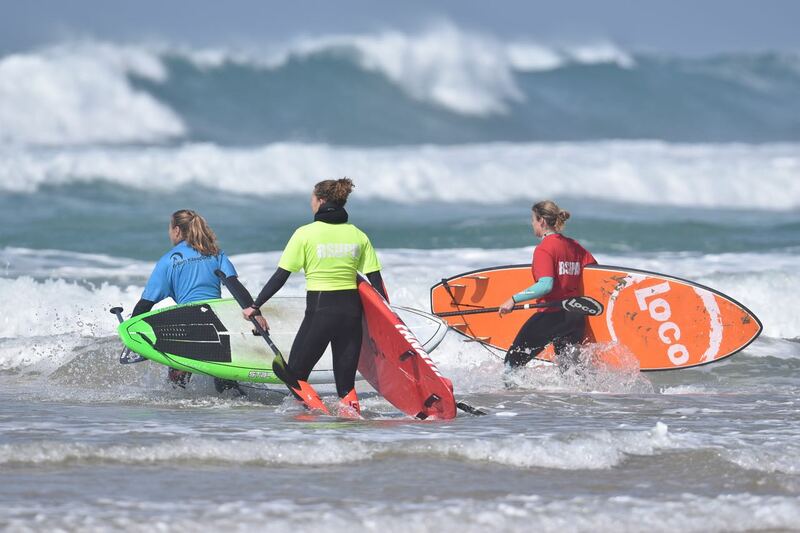 The 2015 ‘Legend of the Bay’ took place last weekend at Watergate Bay in North Cornwall. 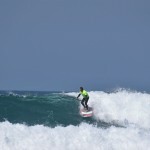 The sun was shining throughout the weekend and the swell did not disappoint, building to solid over head sets by the final. 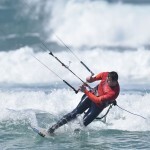 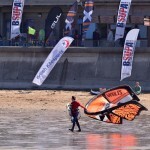 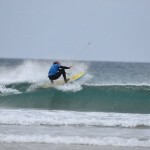 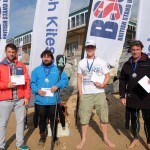 Varied wind conditions from strong off shores on Saturday, to cross shores on Sunday provided some challenging kiting conditions. 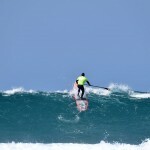 Reuben from SUPboarder was there for the SUP event on the Sunday, to soak up the atmosphere. 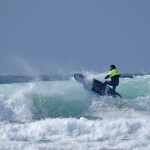 20 minute heats with 2 good scoring waves, was required to get riders through to the next round. 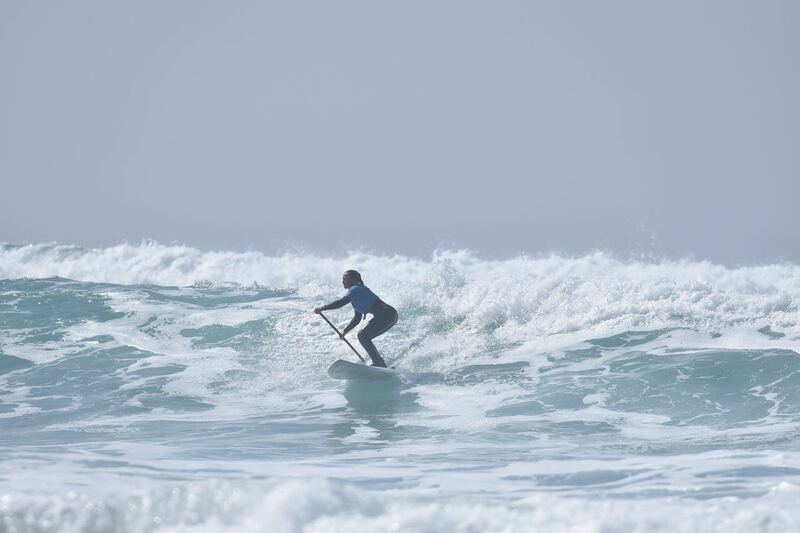 With sometimes an epic 15 minute paddle out back, it made the contest all about good wave selection, to ensure wave scores were counted and worth the effort paddling back out!! 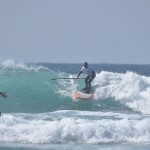 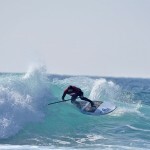 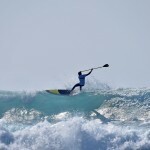 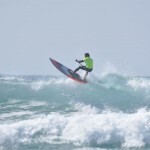 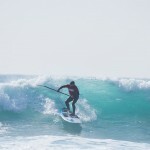 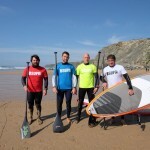 In the SUP competition the men’s stand out performances were from Dave Ewer who was always on the look out for the big hit, and deservedly went on to win the SUP event. 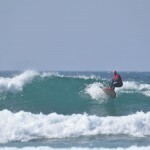 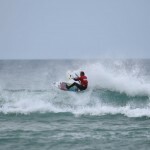 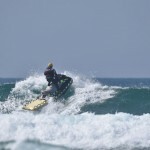 And also Andrew Pieterse who scored well throughout the heats but unfortunately succumed to the relentless white water poundings to get out back, leaving him only 5 minutes to find some waves in the final. 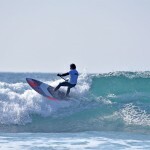 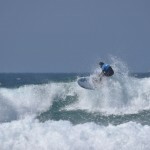 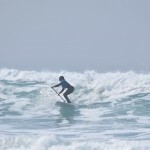 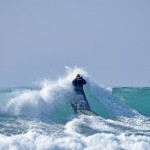 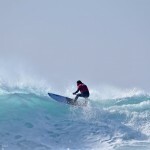 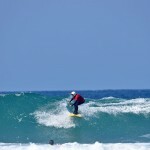 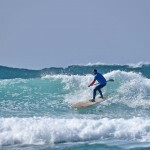 There was some impressive surfing also seen from the ladies, in solid conditions. 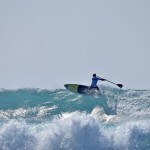 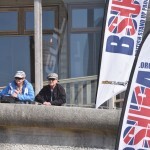 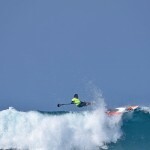 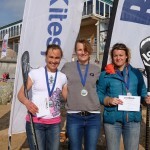 The ladies results were decided from overall wave scores throughout the day, which placed Marie and Lizzie joint 1st. 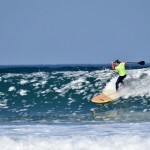 But the wave of the day has to go to Marie Buchanan who caught a right handed beauty in the final, up there with some of the best seen in ladies competition surfing in the UK. 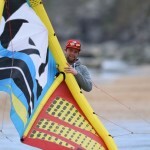 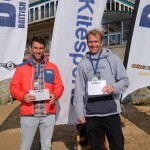 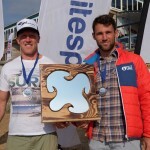 Combined SUP and kiting scores saw for the first time a joint Legend of the Bay. 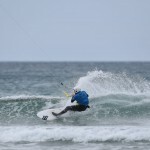 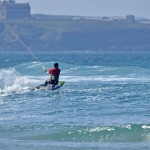 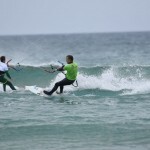 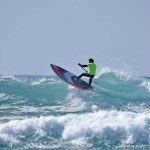 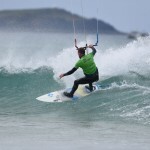 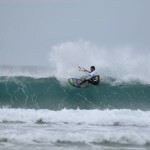 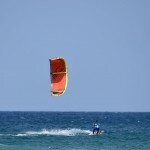 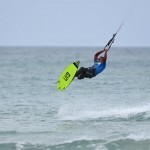 The two local boys Dom and Josh both showed some impressive wave riding and kiting at their local spot. 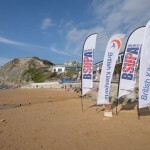 Another well run event from Rich Marsh and BSUPA, and good to see the Legend of the Bay back on the events calendar this year. 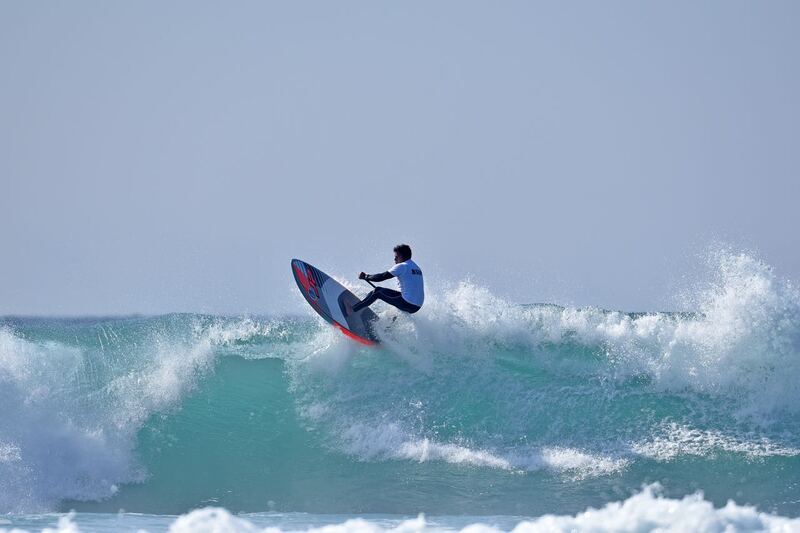 Lets hope it’s back again in 2016. 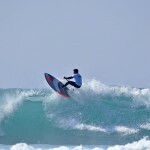 All photos credit to Bob Berry / WCWS.